This is a wonderful native groundcover plant. 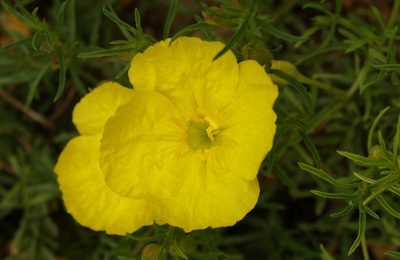 The common name, Berlander’s or Drummond’s sundrops, comes from the flowers that look like little drops of sunshine. It flowers from early spring through summer. Calylophus is a great selection for sunny rock gardens or decomposed granite sites. It’s a lovely evergreen choice to border walkways, between steppingstones, or to accent taller plants behind it. It wants good drainage. 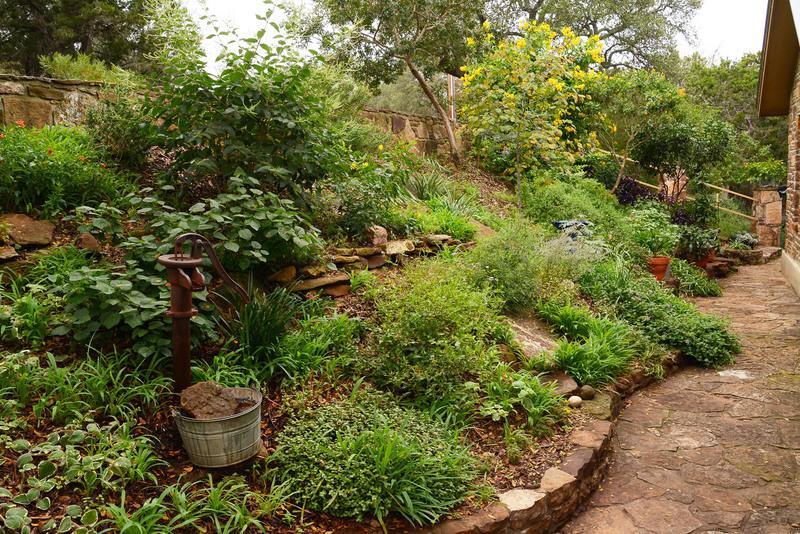 In clay soil, just amend the soil by turning in some grit (like decomposed granite). It doesn’t require much water, though it appreciates an extra drink in extreme drought. It spreads to as wide as 20″, with rounded clumps that may get as high as a foot. It’s hardy to 5 degrees, and tolerates drought and heat, too.